So, your toe is twitching. Maybe it’s the big one only, or maybe it’s a few of the smaller ones, but nevertheless, the twitching is hard to ignore. Especially when you can actually see the toes jump under your socks. When a toe twitches, it’s because of an electrical misfire in the motor neuron unit in the muscle, but this isn’t the cause per se; it’s only the mechanism. Toe twitching is perfectly normal, but can have a variety of causes. Sometimes, toe twitching can be caused by scrunching up the digits, which you may not be aware you’re doing. This actually causes twitching in the tiny muscles in some cases. If two toes twitch in unison, this is nothing at all to be worried about. For example, the third and fourth ones may twitch together, in synch. But this is perhaps due to the fact that in anything, these particular toes usually act in unison. Try lifting the fourth one without the third one coming up, for instance. Twitching in these tiny muscles is completely normal and there is very little reason to fear you might have a disorder like ALS or MS.
“The key point with benign fasciculations is that, for whatever reason, they occur but do not represent an ominous underlying condition,” affirms Kristina Lafaye, MD, a board certified neurologist. 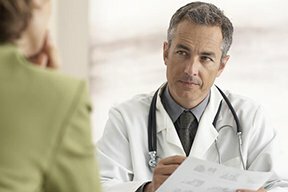 “Yes, some people with benign fasciculations could experience them 24/7 (or so they say; I’m a little skeptical of that), but if nothing else is wrong, then I wouldn’t probe further,” adds Dr. Lafaye, full time clinical staff and director of the neurophysiology lab at Ochsner Medical Center. Only in very rare cases is muscle twitching caused by a disease. Perhaps while you were on the verge of falling asleep, your toe twitched. This isn’t the same kind of twitching that happens when you are wide awake. This type of “twitch” is actually called a myoclonus: an involuntary jerking of a muscle. Mayoclinic.com also states that more severe myoclonus can be triggered by medication or head injury. However, there is also a paranormal explanation for the causes of this kind of twitching, regardless of which muscles it occurs in; myoclonus occurs in different muscles. The paranormal explanation is that your astral double has left your body (out of body experience), and when it’s time to return, it re-enters rather abruptly, and you feel this as the myoclonus! Dr. Lafaye is assistant professor of clinical neurology, and director, Neurology Student Education at Tulane School of Medicine.